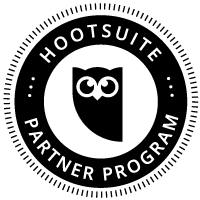 Marwick Marketing is proud to announce that we are now a HootSuite Solution Partner. In 2013 HootSuite hit 7 million users, including 79 of the Fortune 100 companies. Along with HootSuite’s web platform, 50% of users access the dashboard through their mobiles including iPhone, Android, and iPad. HootSuite also offers localized versions of their dashboard in 14 languages – English, French, Italian, Japanese, German, Spanish, Portuguese, Chinese Traditional, Chinese Simplified, Dutch, Polish, Korean, Russian, and Indonesian. ← Could Your Business Benefit From Google Helpouts?